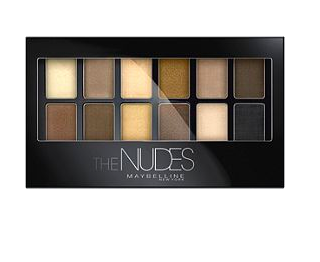 Buy 1, Get 1 50% Off Maybelline’s New Nudes Eyeshadow Palette! I saw an add for this one recently and have had it on my WANT list! Love the colors in this new the Nudes Palette Eyeshadow from Maybelline. It’s $14.99 retail but UltaBeauty.com has it on sale for $9.99 PLUS if you buy one, you get one at 50% off – get one for a friend or buy two and stash one for yourself when the first one is done!